Congregational membership is known to enhance physical and mental health, as well as providing psychological outcomes (subjective well-being and loneliness). However, it is not clear whether these outcomes can be attributed to social resources or personal resources. The study was conducted in Israel among 260 active synagogue members between 18 and 88 years of age (mean = 32.91). Structural equation modeling suggested that personal resources were the strongest predictors of subjective well-being and loneliness, whereas social resources had lower predictive power. 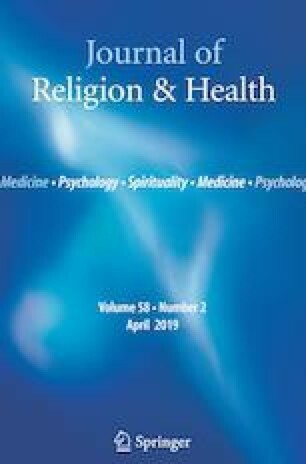 The article offers unique insights into the role of social and personal factors in congregation members’ subjective well-being and loneliness. Johnson, B. R., Tompkins, R. B., & Webb, D. (2002). Objective hope: Assessing the effectiveness of faith-based organizations: A review of the literature. Philadelphia: Center for Research on Religion and Urban Civil Society. Retrieved March 2019, from https://media4.manhattan-institute.org/pdf/crrucs_objective_hope.pdf. Miskar Institution, Israel (2017). The modern orthodox population in Israel. Retrieved March 2019, from https://www.miskar.co.il/he/home. Norris, P., & Inglehart, R. (2004). Religious organizations and social capital. The International Journal of Not-for-Profit Law, 7(1). Retrieved March 2019, from http://www.icnl.org/research/journal/vol6iss4/art_2.htm.